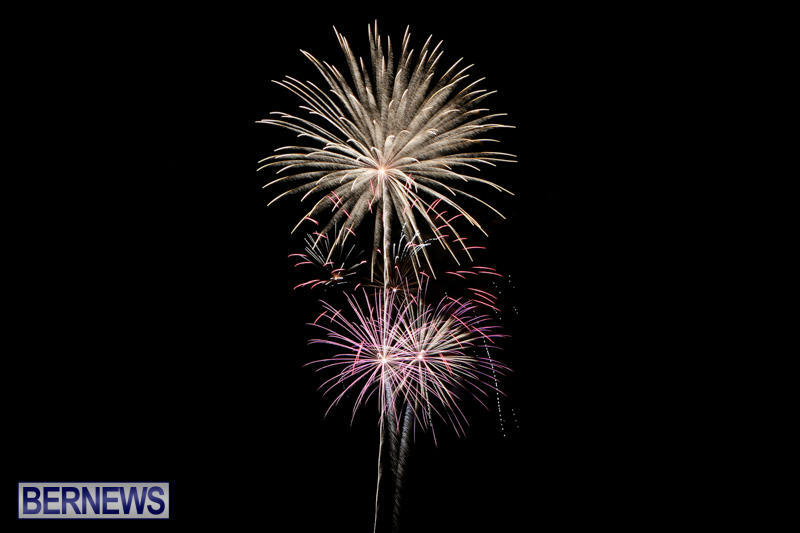 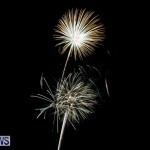 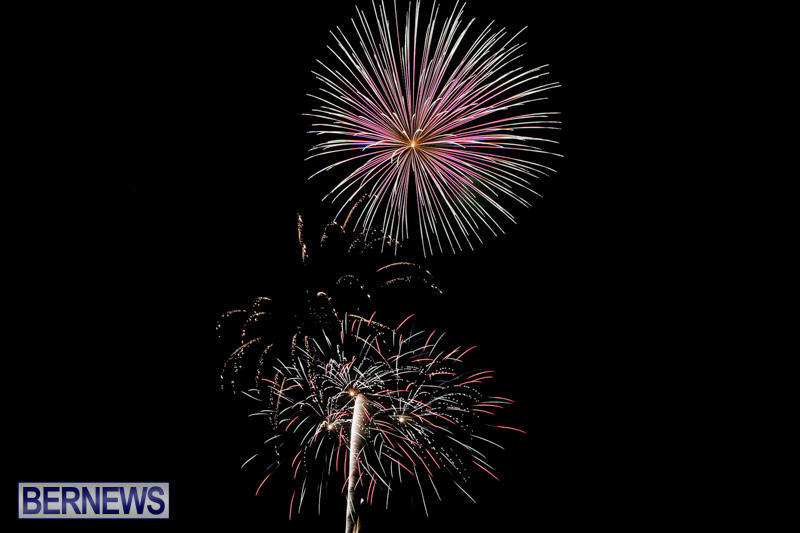 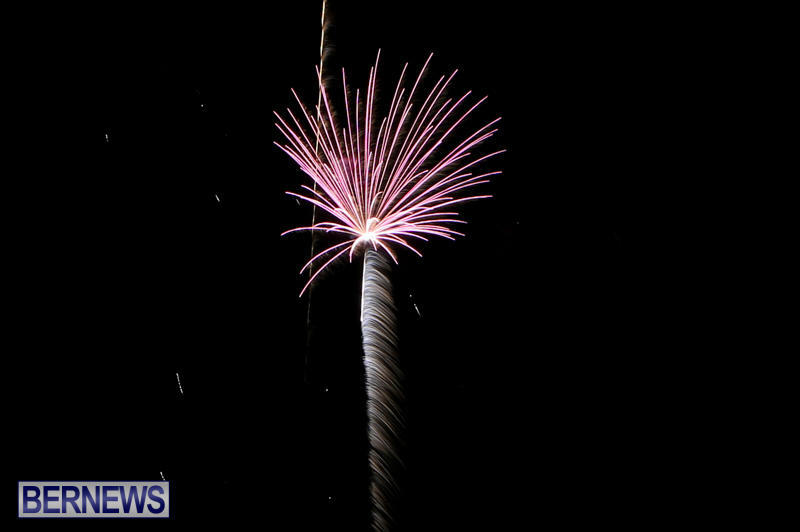 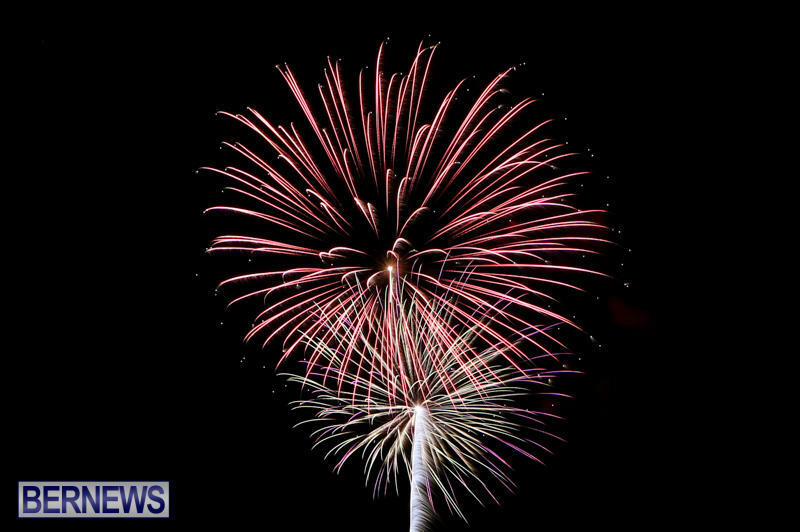 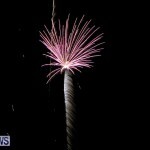 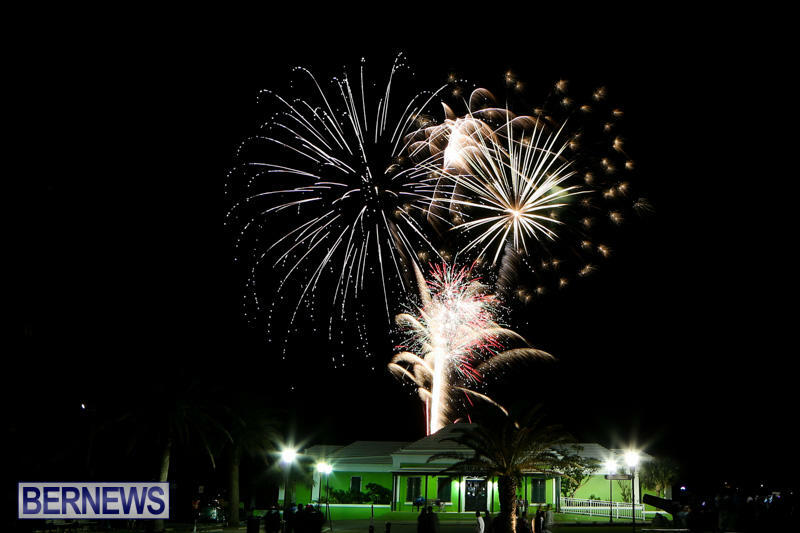 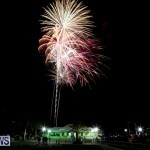 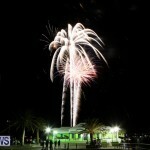 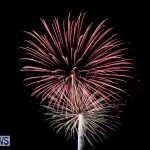 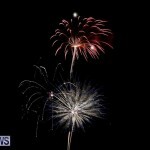 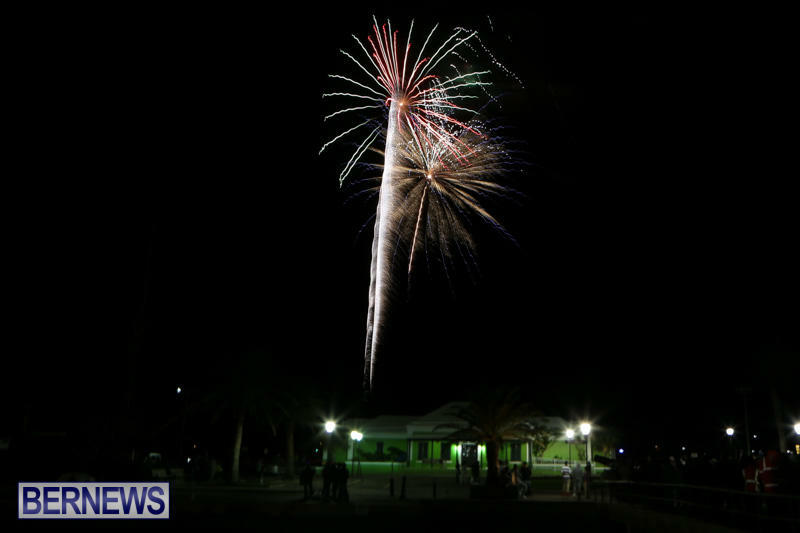 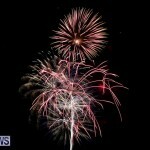 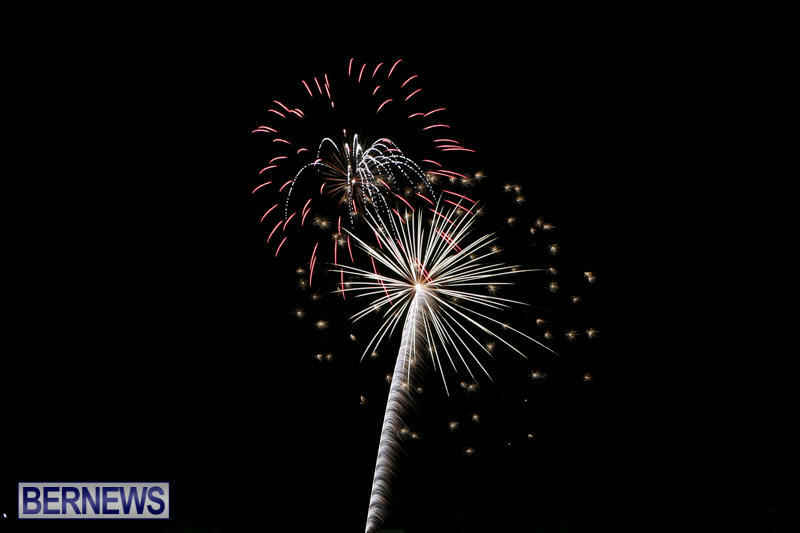 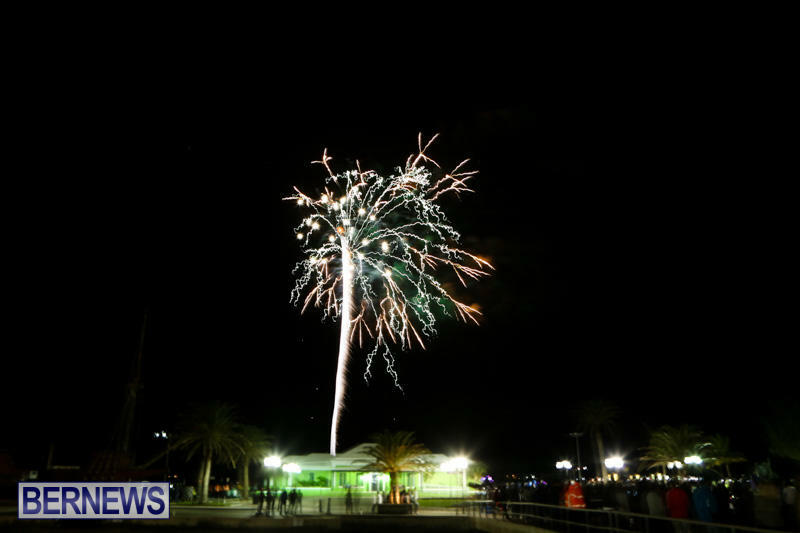 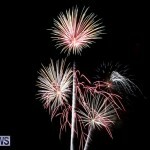 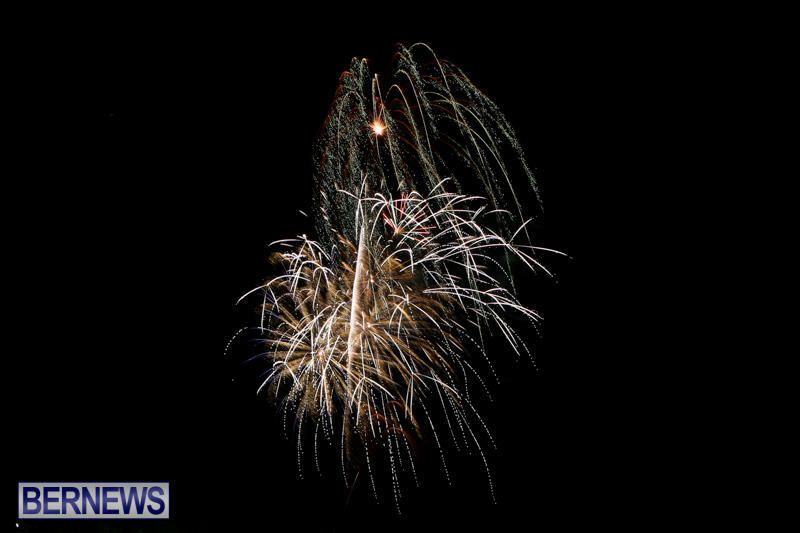 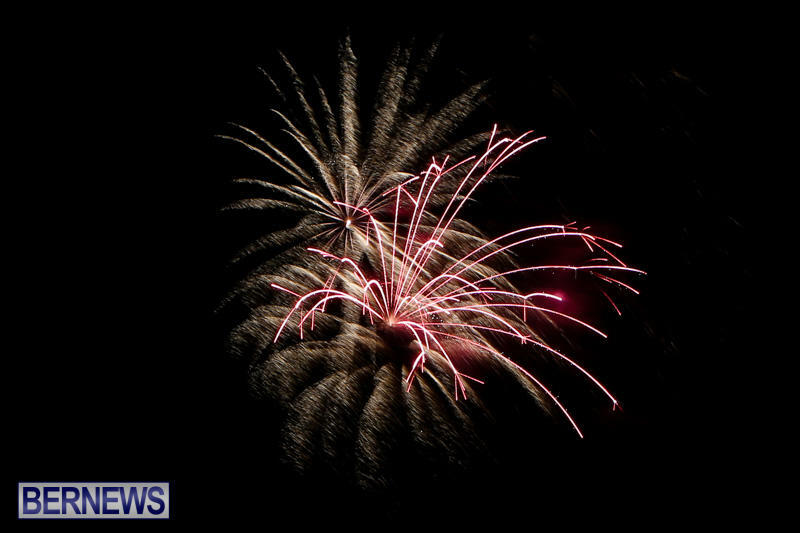 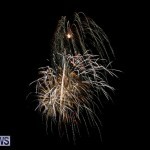 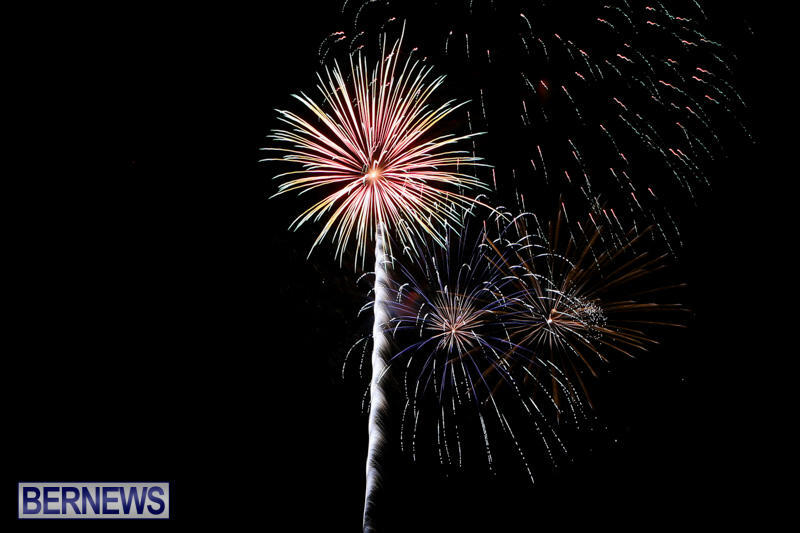 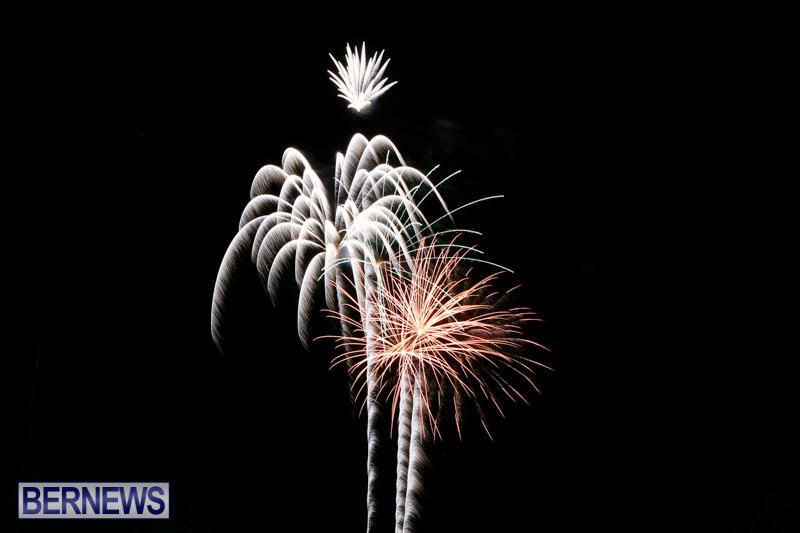 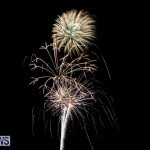 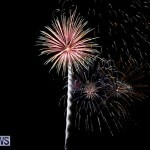 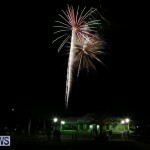 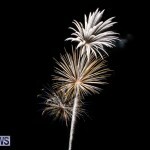 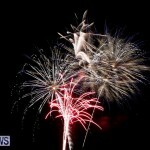 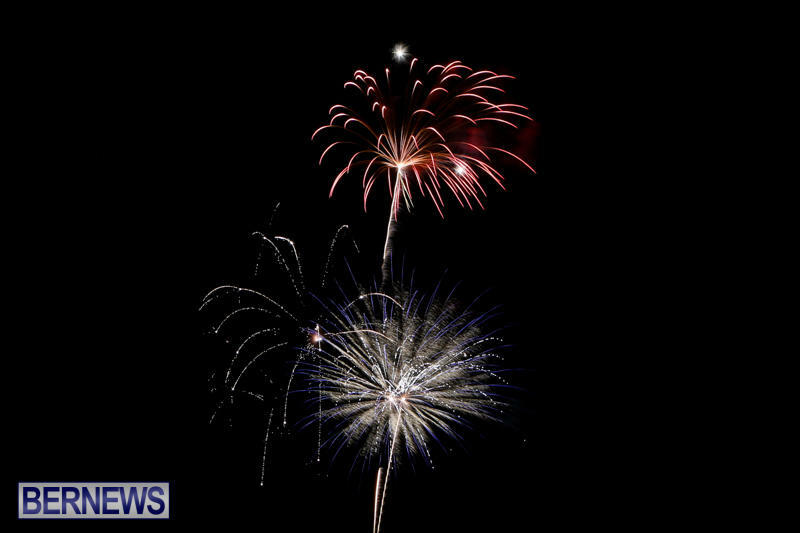 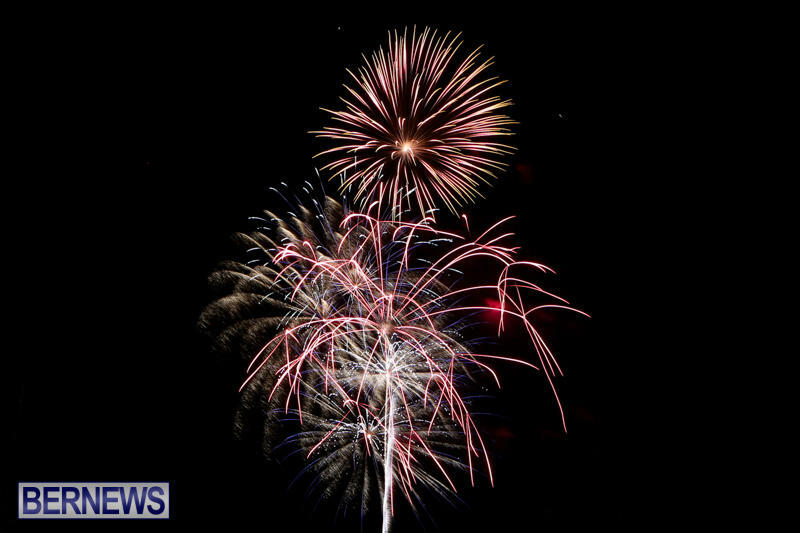 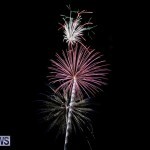 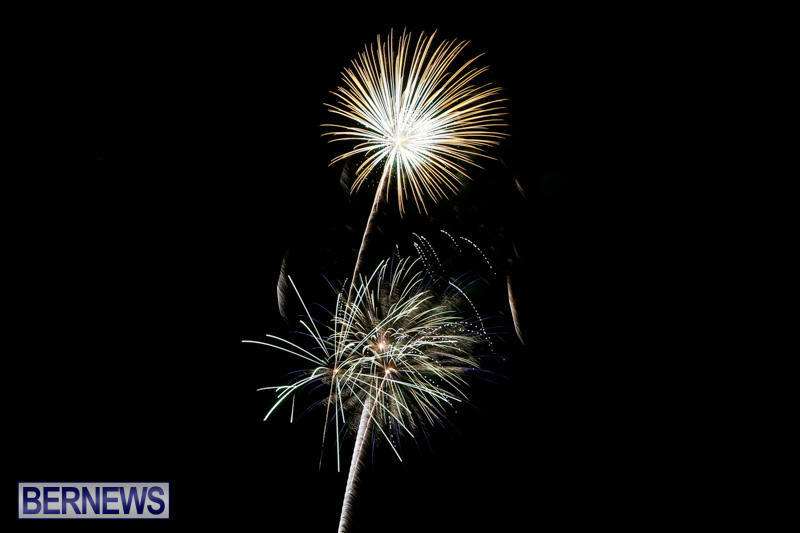 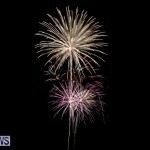 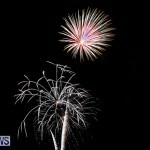 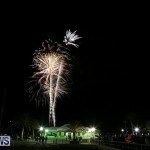 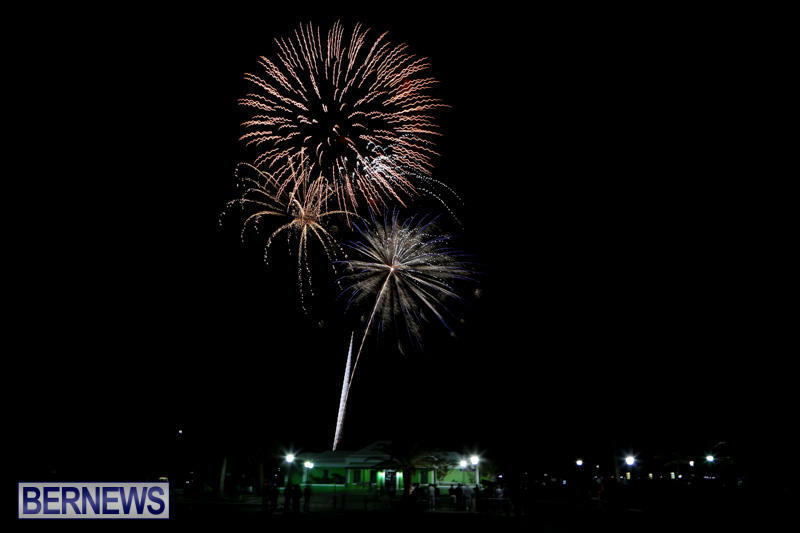 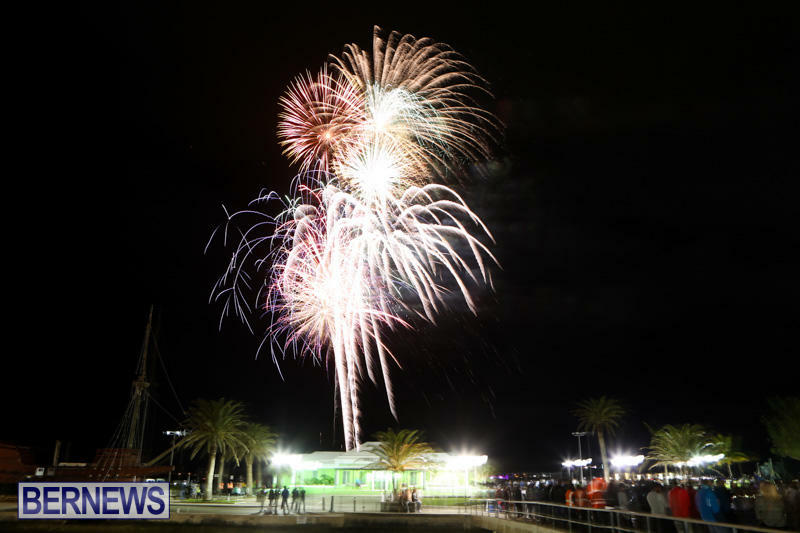 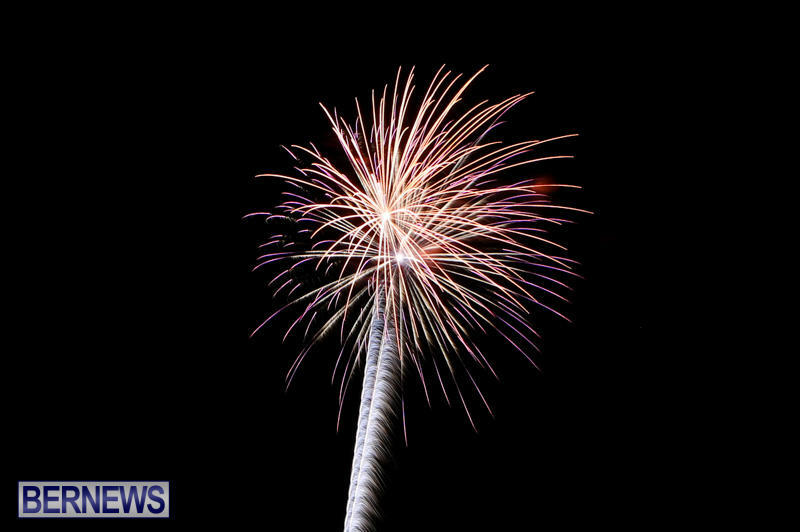 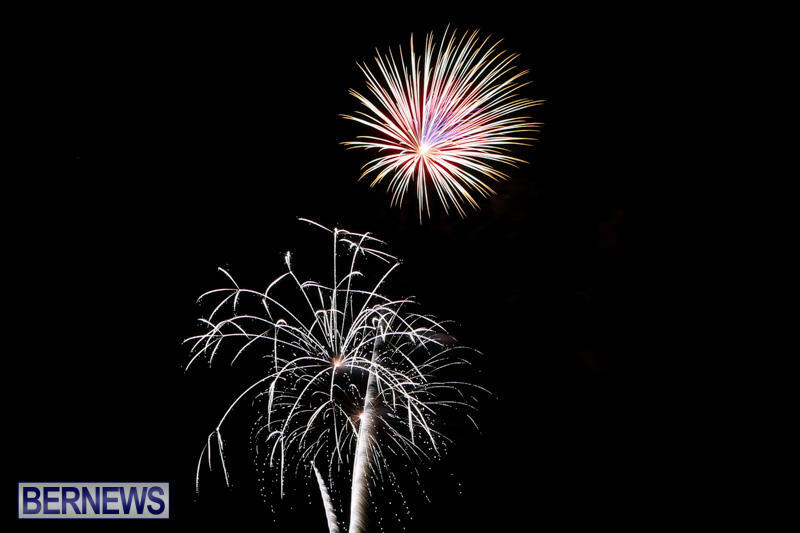 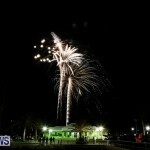 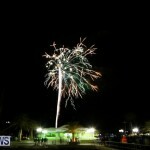 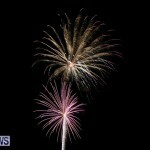 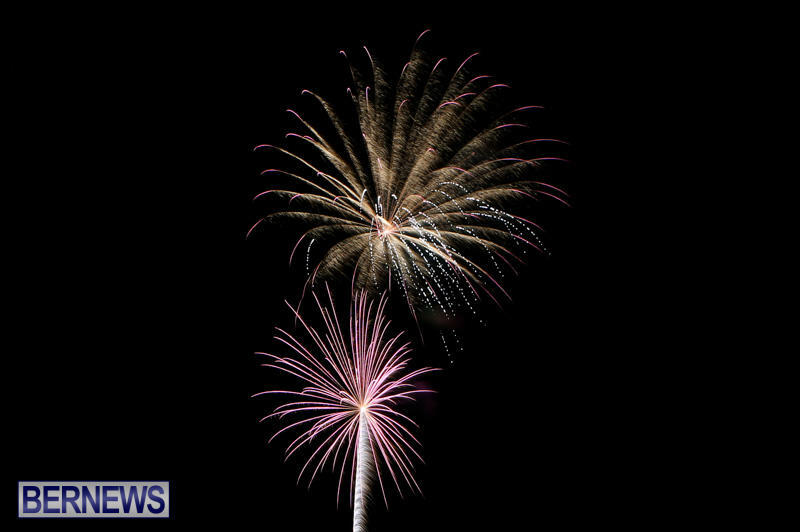 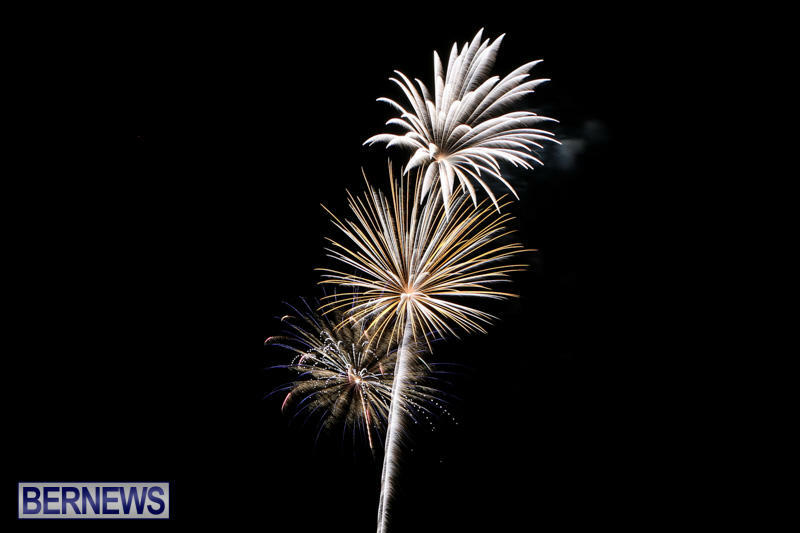 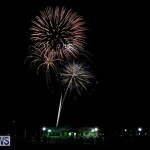 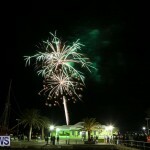 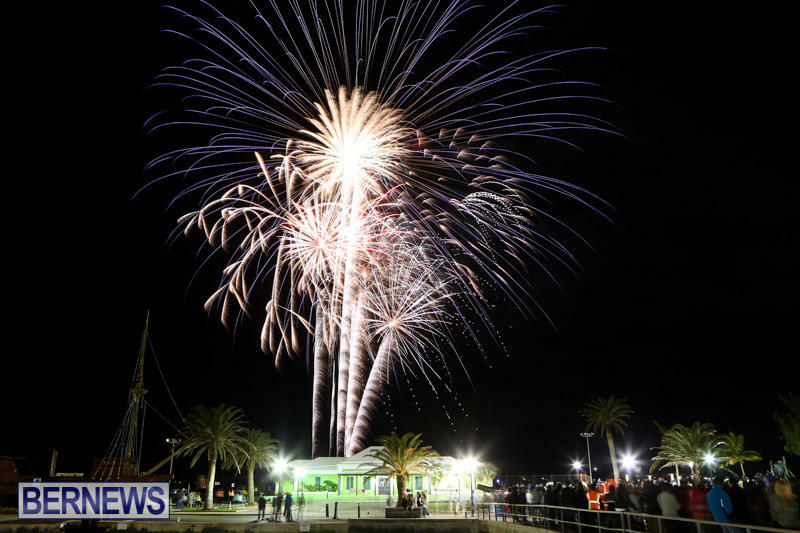 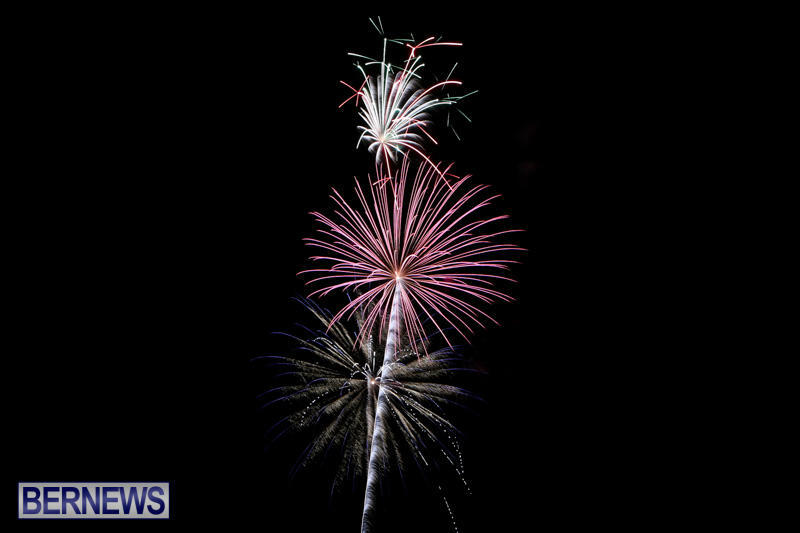 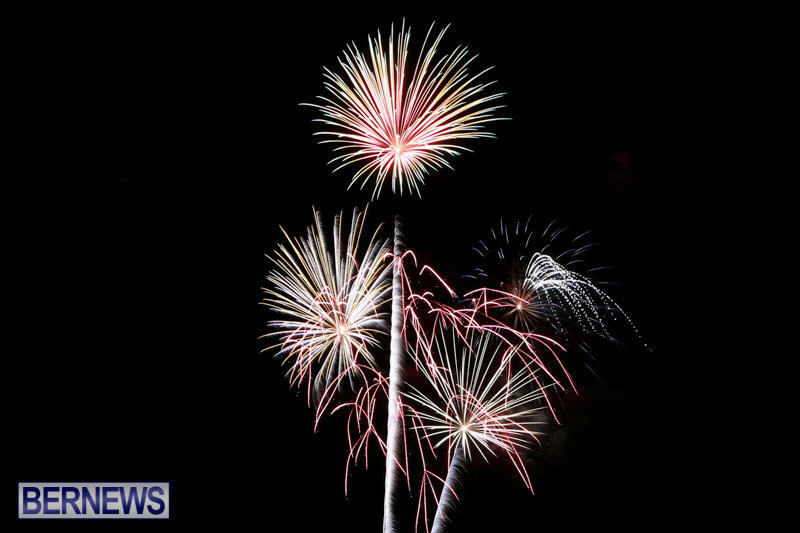 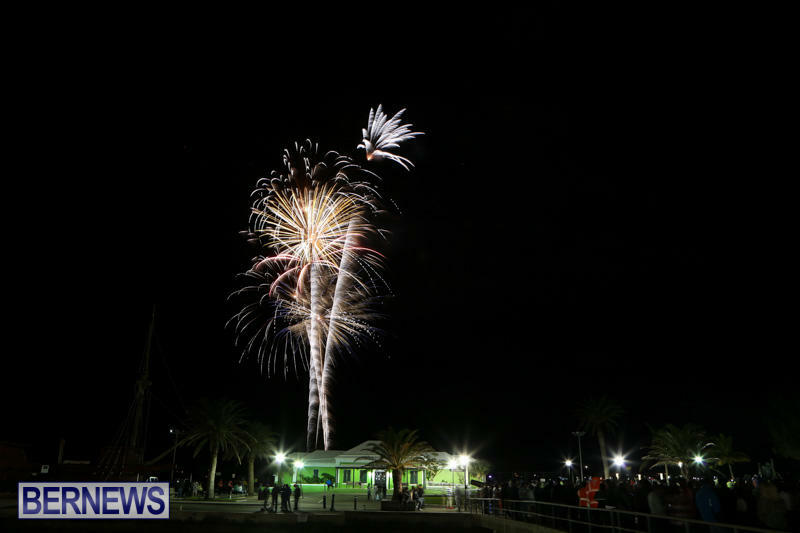 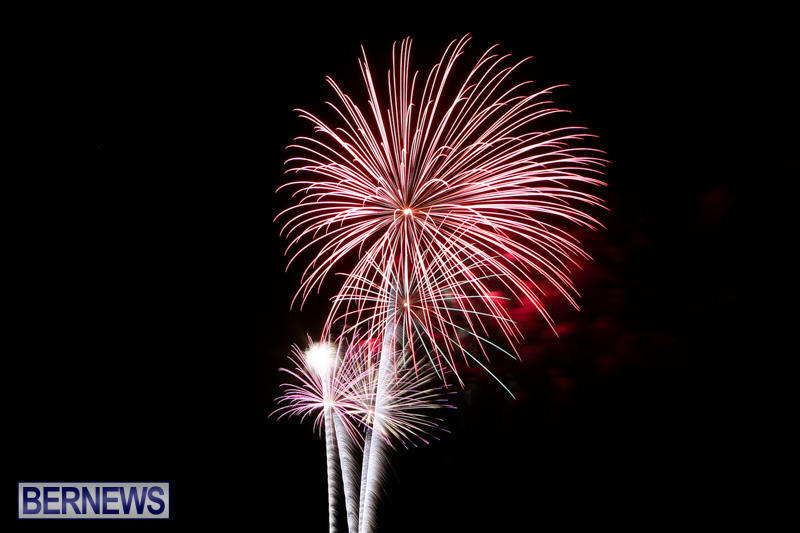 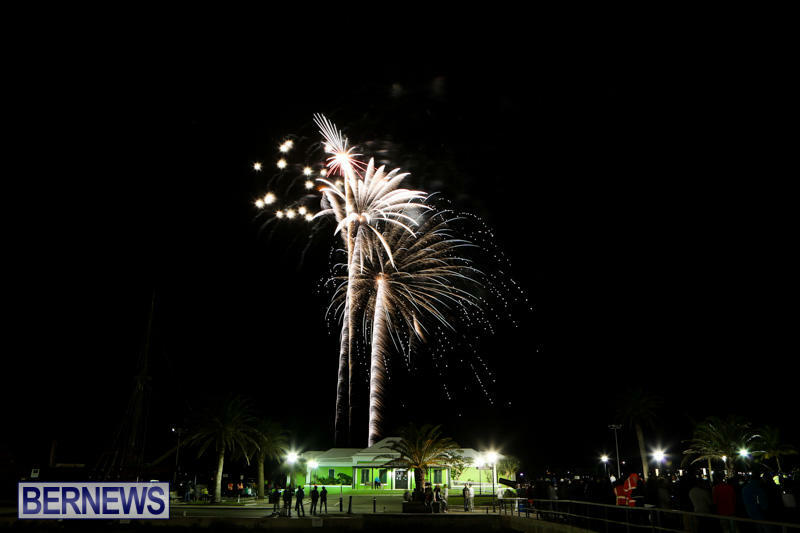 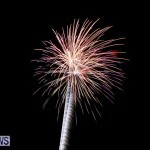 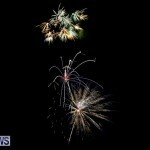 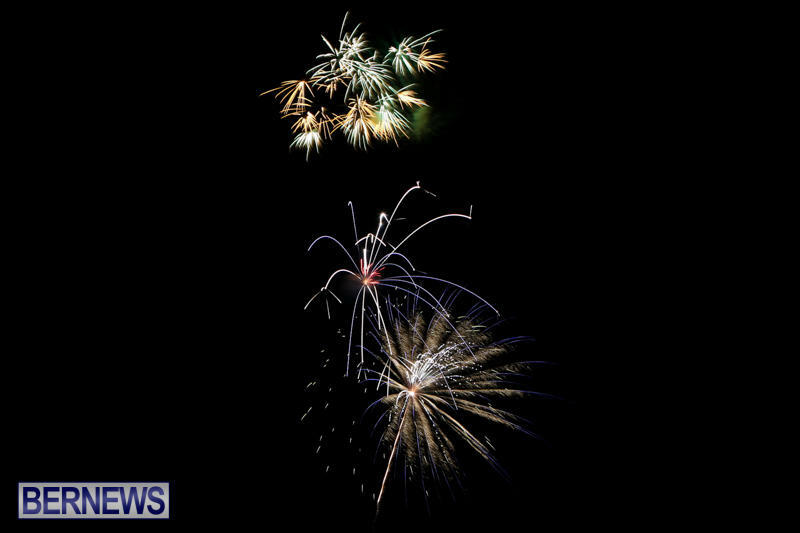 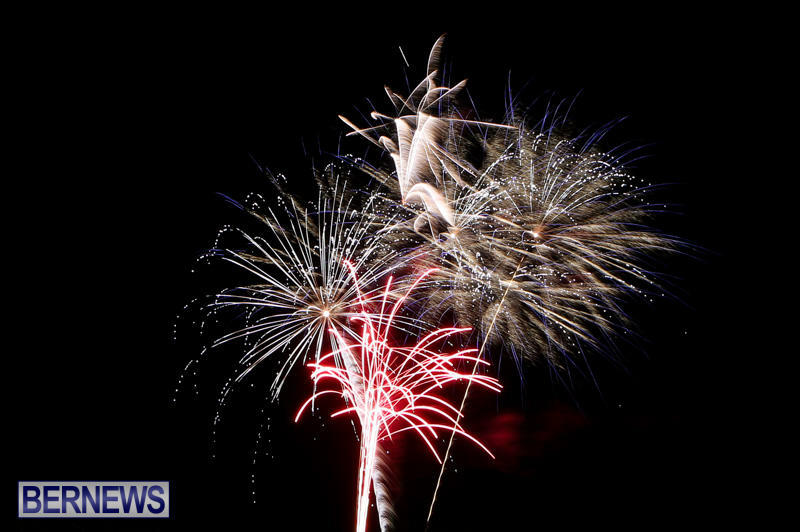 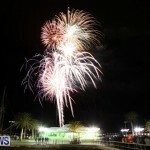 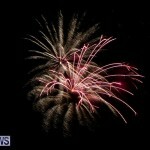 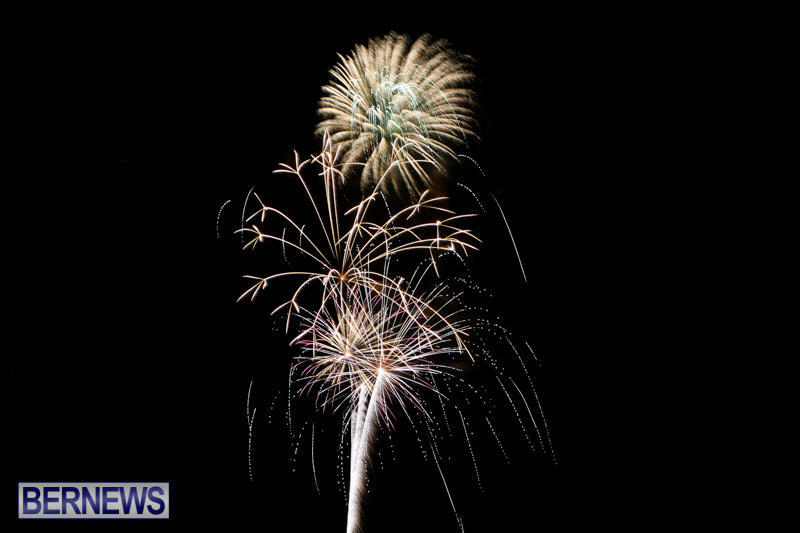 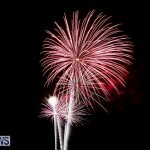 [Updated with video] Locals are celebrating the New Year at various parties across the island this evening, with many making their way to the open air celebrations in St George’s, which featured a dazzling fireworks display. 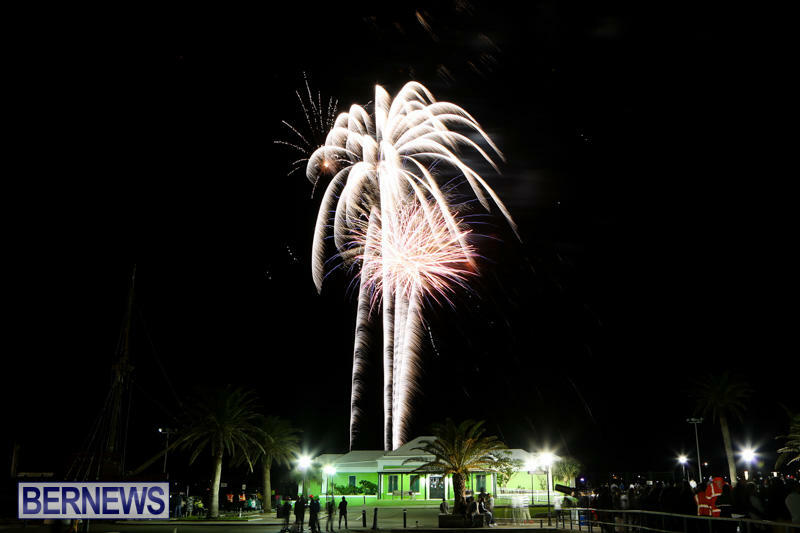 After the onion was dropped to officially welcome the New Year, the crowd made their way onto Ordnance Island to watch the fireworks, which were set off from the harbour area allowing them to be seen from all vantage points. 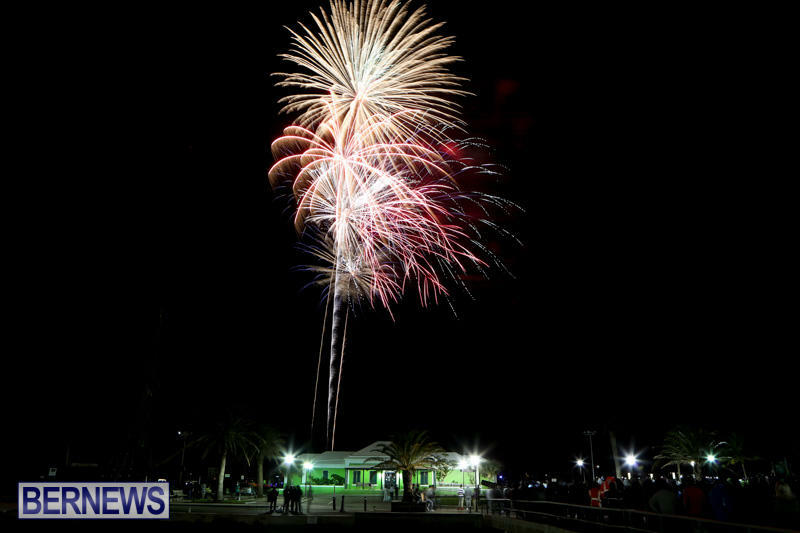 The crowd stayed on after the show to enjoy the gathering and support the vendors selling food, toys and more. 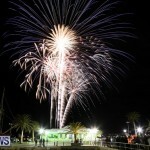 Even pretty over the Net, saw the flashes over the Great Sound or was it those very fast america’s cup 45s even on a calm night . 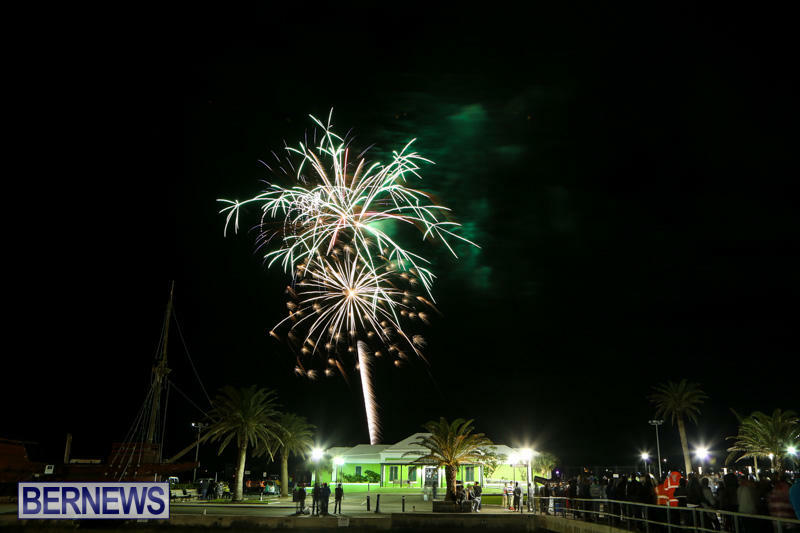 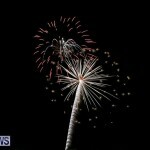 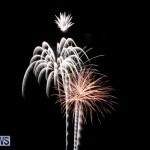 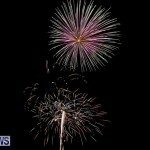 Awesome display St. George’s – and with the town and square decorated and brilliantly lit up, it was hard to beat! 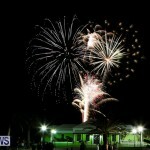 To those responsible, a heartfelt ‘Thank You’!